International Insolvency - Martin Kenney & Co. Insolvency is a key component within the fraud litigator’s arsenal. Very frequently corporate vehicles, whether offshore or onshore, will have been used as part of the structure through which money is improperly taken and/or laundered. There are very significant advantages to using the insolvency process in recovering assets, in particular arising from the willingness of most jurisdictions to recognize, to a greater or lesser extent, overseas insolvency officeholders. 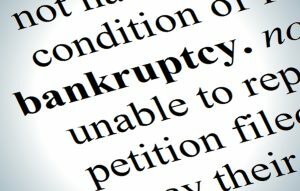 In addition, many jurisdictions have insolvency legislation which assists the effective investigation of the affairs of those who previously ran insolvent companies. The recovery of assets improperly removed from those companies in the run-up to insolvency is also often possible. Martin Kenney & Co has particular expertise in such situations, in part deriving from its representation of the liquidators of Stanford International Bank for many years.